The 1963 Aston Martin DP215 Grand Touring Competition Prototype is offered at the RM Sotheby’s Monterey 2018 sale – estimate $20 to 25 million. 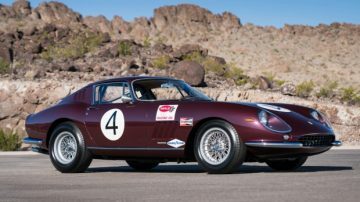 RM Sotheby’s announced that the 1963 Aston Martin DP215 Grand Touring Competition Prototype will be one of the lead cars for the Monterey 2018 classic car auction. This car represents the pinnacle of Aston Martin racing. 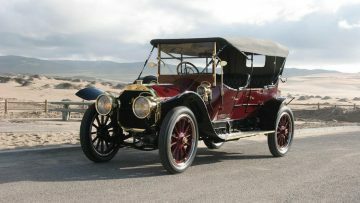 It was specifically developed for Le Mans and with Phil Hill at the wheel was the first car to break 300 km/h on the Mulsanne straight. The Aston Martin joins the previously announced 1962 Ferrari 250 GTO and 1966 Ford GT40 to represent the pinnacle of racing performance for each of these legendary marques from the golden age of motorsport. 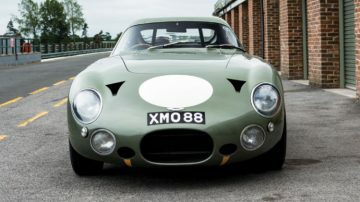 The 1963 Aston Martin DP215 Grand Touring Competition Prototype, estimate $20,000,000 to $25,000,000, was the last of four one-off development project cars and the final racing car produced during the David Brown era. 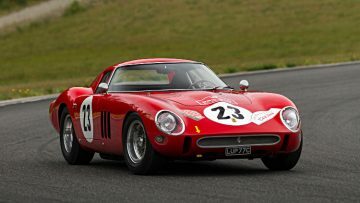 The DP215 lapped Le Mans 12 seconds faster than a Ferrari 250 GTO. DP215 was the pinnacle achievement for Aston Martin’s racing program, approved by David Brown in March 1963, ordered directly by John Wyer, designed by chief engineer Ted Cutting and fitted with an engine by Tadek Marek as the final racing car built by the factory in the Brown era. 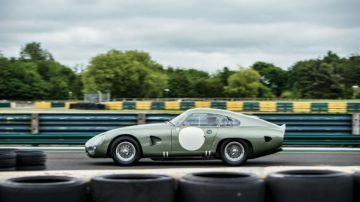 By no means a converted road car, this was the ultimate evolution of Aston Martin’s racing program, and the last of the four completely one-off “Development Project” cars, with its sights set squarely on the famed 24 Hours of Le Mans just two months away. Ultra-lightweight, with a four-liter version of the DP212 engine set farther back in the chassis and cutting-edge wind tunnel-tested aerodynamics, the car was piloted by American ace driver Phil Hill, a three-time Le Mans-winner and the first ever American Formula 1 World Champion, paired with Belgian Grand Prix and endurance-racing veteran Lucien Bianchi. What the pair achieved is almost unfathomable, clocking a staggering 198.6 mph along the famed Mulsanne Straight—becoming the first car to officially break the 300 km/h barrier at Le Mans. 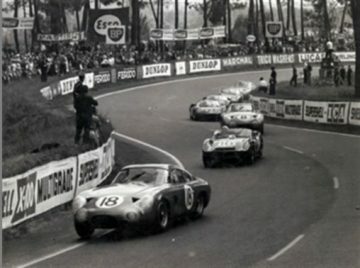 The DP215 lapped Le Mans 12 seconds faster than the Ferrari 250 GTOs but retired at Le Mans 1963 with gearbox failure two hours into the race. Gearbox trouble while leading also forced retirement at Reims. Aston Martin closed its Racing Department officially at the end of 1963 and DP215 would not race again. 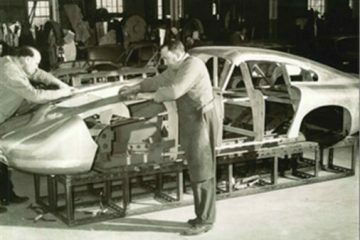 Following its racing career, DP215 has always enjoyed a well-documented and illustrious chain of enthusiast owners, who in later years even engaged Ted Cutting himself to consult on and approve the authenticity of the car’s long-term restoration. The current owners, Neil and Nigel Corner, vintage racing drivers of considerable renown and expertise, perfected the car’s restoration by reuniting DP215 with its original engine, 400/215/1, which was separated from the chassis very early in the car’s history but is indeed the very powerplant with which Phil Hill raced at Le Mans. 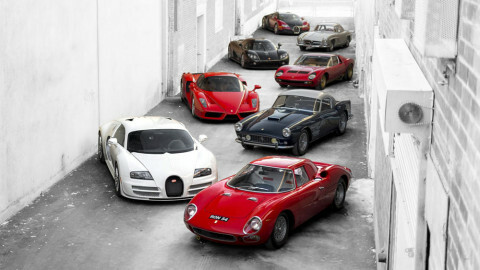 DP215 is expected to bring $20,000,000 to $25,000,000 when it crosses the podium at Monterey. 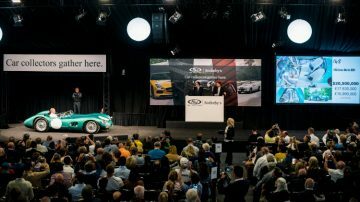 Aston Martin cars have performed very well at auctions in recent years with an increasing number selling for above a million dollar. 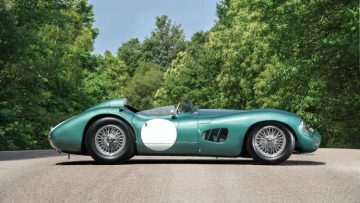 RM Sotheby’s is responsible for the top-three all-time most valuable Aston Martins sold at auction, led by the 1956 Aston Martin DBR1/1 sold at Monterey 2017 for a final $22,550,000, becoming the most valuable British car sold at auction. 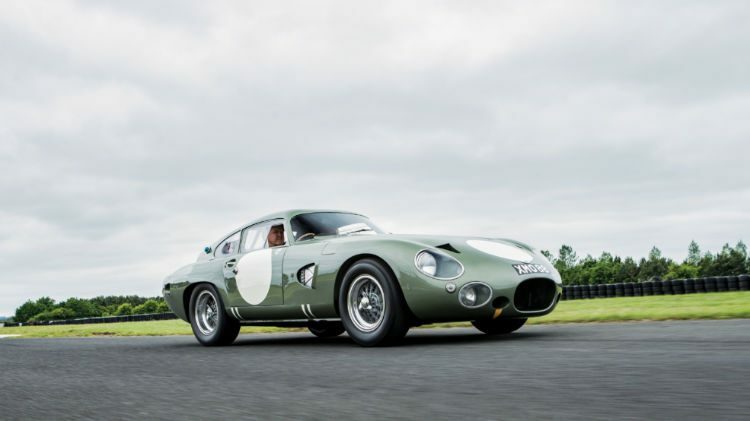 The second most-expensive Aston Martin ever was the 1962 Aston Martin DB4 GT Zagato that achieved $14,300,000 at the RM Sotheby’s New York 2015 sale – the only other Aston Martin to have sold for over $10 million. The third place is $6,765,000 paid for a 1959 Aston Martin DB4 GT Prototype at RM Sotheby’s Monterey 2017. 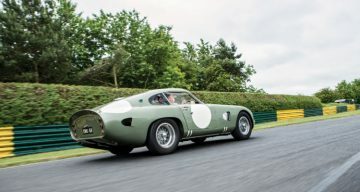 Bonhams hopes to get into the action with the 1961 Aston Martin DB4GT Zagato, chassis 0183/R, registration number 2 VEV, on offer at the Goodwood Festival of Speed sale in July 2018.